Representing Ireland’s Top Professional Photographers, covering all of Ireland. “We will find you the best available & most experienced photographer”. Offering professional services to capture and process high-end photography for your products, brands, services, business or events. Providing skilled professional photographers with various styles and disciplines to suit you and your business needs. Consulting with, and guiding you on the best direction for your photography commission. Reviewing intently your photography brief in order to administer a most competitive quote. 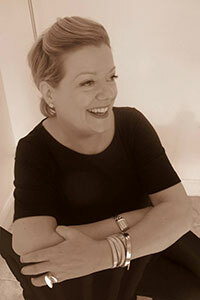 Irish Photo Agency founder Helen Burke, launched the business in 2002. Prior to this, Helen worked in various photographic business environments, with previous roles including: Photography Account Executive for several large brands in Ireland, and International Stock/Image Representative for one of the world's largest stock/image libraries. Now working as a full time Professional Photography Agent, Helen works with many of Ireland's top, award-winning professional photographers. With over two decades in the photographic industry, Helen has developed a sharp eye for photographic content as well as a keen intuition for what clients are looking for. Working with large corporate companies or small & medium enterprises, regardless of the size of your project, Irish Photo Agency is dedicated to helping you achieve the best possible results. The images and photographic works on this website have been captured, created and submitted by photographers working with the Irish Photo Agency. We would like to thank professional photographers Harry Weir; Noel Hillis, Neil Mac Dougald; Enda Cavanagh, Tadhg Nathan & Jamie Malone, where all images are Copyrighted to each photographer.